Interview By John Cheetham & Ken Taylor. J.K.A. News (Japan Karate Association). Report By John Cheetham. Shotokan in California. Report By Vinny Connolly. Sensei Stan Schmidt 7th Dan JKA. Interview By John Cheetham. Oriental & Western Fighting Arts: By Harry Cook. Asano Sensei (Part Two Interview) By Bozenna Tedder. Sensei Kato Course, Report By John Cheetham. S.K.I. Shotokan Summer School. Report By Bozenna Tedder. 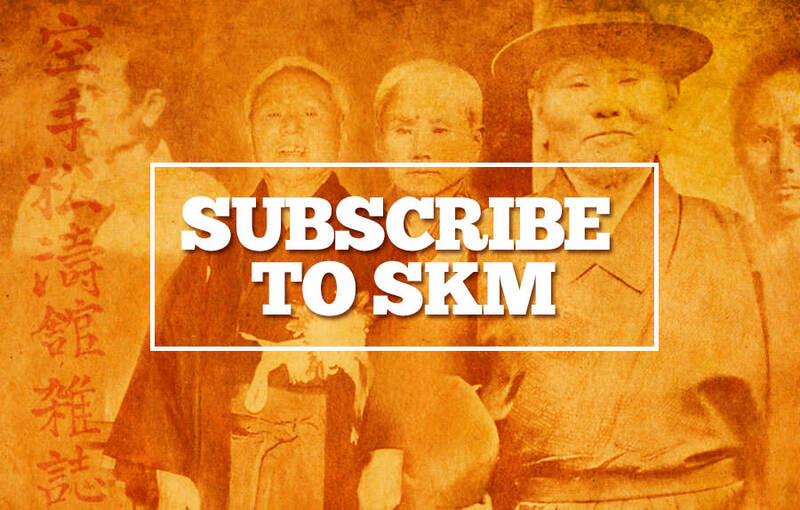 S.K.M. 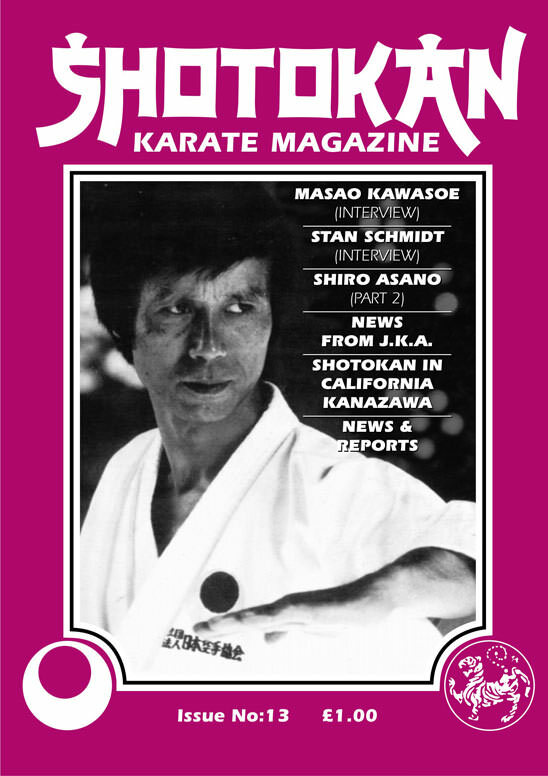 is very proud to be the first magazine to interview Sensei Masao Kawasoe 6th Dan J.K.A. Undoubtably one of the most technically gifted Shotokan Instructors in the World. Although resident in the U.K. for over thirteen years Sensei Kawasoe has never 'really' been featured in the Martial Arts press for some strange reason, but that will now certainly be remedied in this magazine, as we feature him in a 'two part' exclusive interview. Many readers are eagerly waiting to read Sensei Asano's second part interview and I assure you it is most interesting and although you might not agree with one statement regarding who is good and who is bad in Shotokan, Sensei Asano, who is a very senior Shotokan Sensei, is perfectly free to air his own views and opinions. (No editing the controversial parts). Someone I have admired for many years is Sensei Stan Schmidt 7th Dan J.K.A. of South Africa the most senior none Japanese Shotokan Instructor in the world. His interview in this issue is a 'gem' and it leaves you wanting more. I am highly honoured that Stan kindly gave S.K.M. his time. Since the death of the former J.K.A. Chief Instructor, Master Masatoshi Nakayama, everyone in Shotokan has been wondering who the next Chief Instructor of the J.K.A. will be. Well all the answers are in this issue. See 'NEWS FROM THE J.K.A '. Some surprises there! Hopefully S.K.M. will be bringing regular news from the J.K.A. in each issue of the magazine and also from the other world body of Shotokan Karate, the S.K.I. Master Hirokasu Kanazawa's Organisation. Master Kanazawa is in G.B. in November for S.K.I. courses which will be reported in the next issue. One article in the last issue (no. 12) caused quite a response and there is no way I could possibly print all the letters I received regarding the article. You have probably already guessed which one it was, YES! It was, Mr. J. P. Wards "GYAKU ZUKI - TO LEAN OR NOT TO LEAN'. I knew when I published it that the purists would not even like the title let alone the actual contents. The big worry when I first started the magazine was that I might run out of Shotokan people to feature. How wrong I was. There are so many good instructors the world over that this will definitely not be a problem I'm pleased to say. At first I was chasing Shotokan Sensei's all over the place to get stories and interviews etc. Thankfully now they have started coming to me. Without any shadow of doubt the Senior Japanese Shotokan Sensei's are the most popular with S.K.M. readers. But there are some excellent British instructors who never get any, or very little publicity which I intend to ALTER.